Paola Candia knows she isn’t a typical med student. She’s a minority. She doesn’t come from wealth. She has no physicians in her family. She didn’t stumble upon a storybook guardian angel who believed in her as a child. What she does have is a dogged determination. And her mom. Paola is the proud daughter of is Maria Escorcia, a single mother who emigrated from Nicaragua. Maria provided for Paola, her brother and two sisters as a laborer in a tire factory and a hospital housekeeper. Despite the obvious challenges her family faced, Paola allowed herself to dream of becoming a doctor. “It’s what I wanted to do since I was little,” she said. While she works to achieve her childhood dream she wants to help other minorities do the same. Paola started reaching out as an undergraduate at Emporia State University. She worked two jobs and received scholarships to pay for a degree in biology. Despite the grueling schedule of work and study Paola found time to charter Kappa Delta Chi, the first Latina sorority in university history. 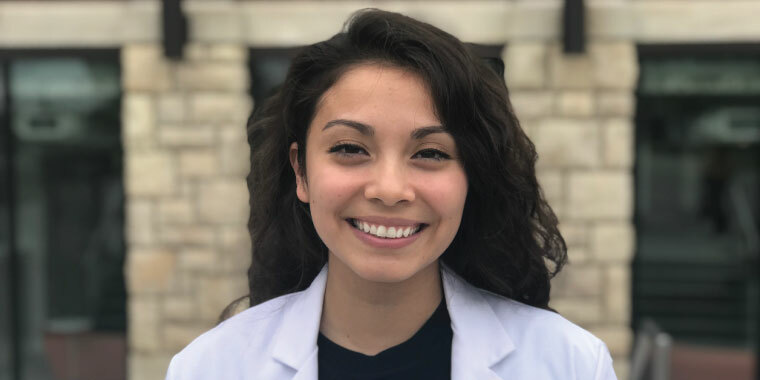 Following graduation from Emporia State, Paola earned a master’s degree in biosciences from KCU and is currently a second year student in the College of Osteopathic Medicine. At KCU, she has again found she is not the only one who questions her abilities and skills. "We are thrilled to have Paola here at KCU,” said assistant professor Gretchen Lopez, PhD. 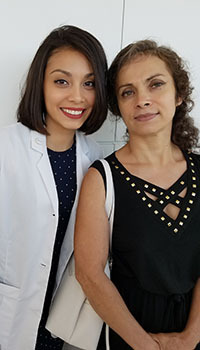 “She is certainly prepared academically for the challenge of medical school, but we want Paola and students like her to realize they bring something special to the table. They will realize that where they have been and their life experiences will help them relate to patients in ways people from other backgrounds cannot. Paola is now determined to encourage other students who look like her to enter science and medicine — in part perhaps, because she didn’t have much encouragement herself." As president of KCU’s newly formed Student National Medical Association (SNMA) chapter Paola has helped arrange speakers, cultural events and a medical Spanish Class during Hispanic Heritage Month. Paola hopes these activities will draw other students with Hispanic backgrounds to KCU. She believes more students from diverse backgrounds will enrich all students’ lives. She still combats the feeling of being out of place and inferior to colleagues because she is not the same. And she admits there are days she looks around and wonders if she belongs. But she’s coming around. Paola feels a responsibility to represent the hopes and dreams of her family and culture. And she wants her mom to see her succeed. As if she hasn’t done that already.